Congratulations to all the nominees and winners of the 68th Primetime Emmy® Awards! Photo © 2015 FX. All rights reserved. Equally stylistic, the series that defined “binge-watching” maintains the spare controlled aesthetic that perfectly reflects the two main characters, while taking us into the more real-world scenarios. Ruthlessness prevailed in this season, more so than any of the previous, which weren’t exactly light in this area. The president is shot, a dying man is pushed aside to allow Frank to receive his intended new liver, terrorists kill a hostage on camera, and the political convention is behind-the-scenes manipulated by Frank making death threats. Meanwhile, Claire administers the final dose of morphine to her dying mother at hospice and has a tryst afterwards. Robin Wright, Kevin Spacey. Photo © 2016 Netflix. All rights reserved. Based on the alternate reality that the Allies lost in World War II, the series presents an entirely different America. The United States has been divided into three unequal-sized sections. The Japanese control the Japanese Pacific States, the Germans have the Eastern half of the continent extending through the mid-west, now called the Greater Nazi Reich, and the Rockies comprise a Neutral Zone. 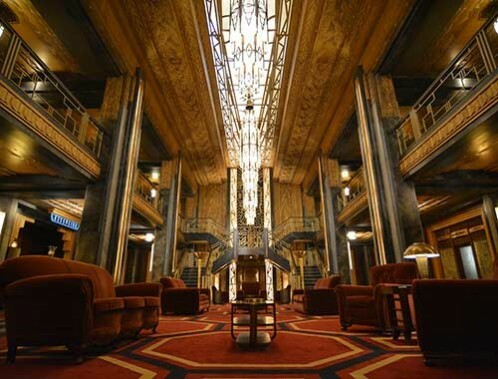 Set in 1962, the design and décor had to deal with not only the political remakes, but also the period, from blue-collar factories, shops and cafes to imperialist headquarters and secured mansions. 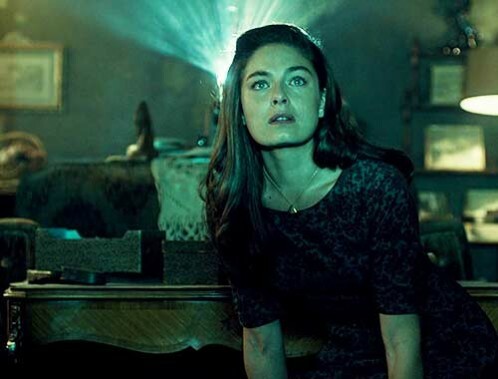 Alexa Davalos. Photo © 2015 Amazon. All Rights Reserved. This exotic Victorian world of the occult continued to juxtapose gorgeous, richly imbued sets with the raw and rough, including in this season an underground care facility for people suffering from cholera. 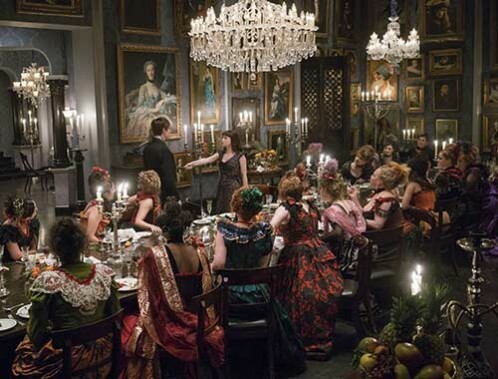 Dorian Gray throws an elaborate ball, but Vanessa has visions of blood raining the ballroom, so she and Ethan hide away in a cottage, or so they think! Facing the evils within and without, there is much anguish, but many fine sets to get us through it! Photo © 2015 Showtime. All rights reserved. 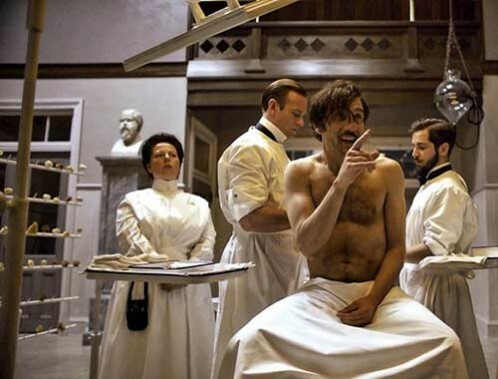 Gritty realism and great style brought us into the world of medicine on the cusp of great discoveries, as last season Steven Soderbergh and his teams offered a fully immersive experience of the edginess, brittleness and brilliance of the emerging 20th century. This season, equally high-powered and compelling, the doctor at the forefront of discovery and despair has convinced the board of the Knickerbocker Hospital to open an Inebriety Ward, in which he researches and experiments [with some rather horrific results], trying to find the physical cause of addiction, an affliction he has not been able to overcome. Photo© Cinemax/HBO 2015. All rights reserved. Not for reprint or reuse. The bio-tale of William Masters and Virginia Johnson, pioneers in the study of human sexuality, has moved forward to 1965! They finally publish their book, to good reviews, but it’s deemed too controversial to use as a textbook, thus they must find investors. Along the way to huge success, we travel through the America of the mid-60s, including Las Vegas and New York. The storyline becomes as complicated as the people involved, but compellingly so, and offers opportunity for more amazing period sets that take us to the place and time without splattering us with it. These sets seem to be live! Lizzy Caplan. Photo by Michael Desmond © 2015 Showtime. All rights reserved. The wildly popular series introduced the accidental time-traveler Claire, who inadvertently stepped from a post-war holiday with her husband through a standing stone into 18th century Scotland. Dealing with the harsh realities and raw beauty of the 1700s was challenging enough, but falling in love with a displaced young Scottish laird took the duality to another dimension! 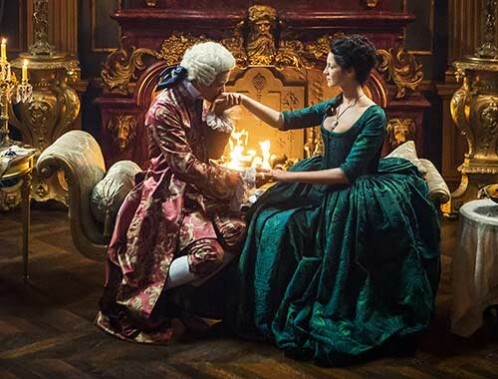 The second season opens with her having returned to the 20th century to protect their unborn child, but she holds the strong memories of their attempt to stop the Jacobite rebellion by heading off Prince Charlie at the court of Louis XV. From the heavy, rustic stone castles of Scotland to the opulent, lavish palaces of France, travel almost as extreme as the centuries she traversed! Lionel Lingelser, Catriona Balfe. Photo © 2015 STARZ. All rights reserved. Year after year, this top-rated comedy keeps it fresh, from storylines to sets! Every season brings more unique settings, restaurants and bars—TBBT’s version of a Tiki bar is more realistic than an actual one and then there’s that weekend cabin getaway and a classy wine bar. 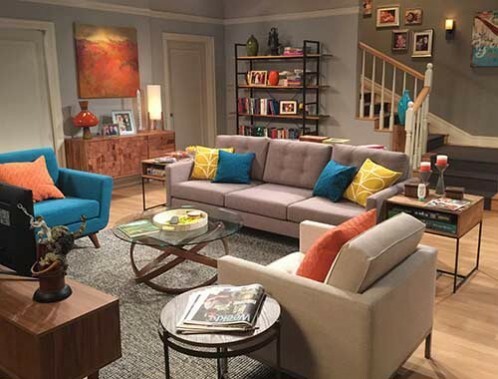 Among the various sets each episode, Howard and Bernadette’s home is featured as we learn of her pregnancy. 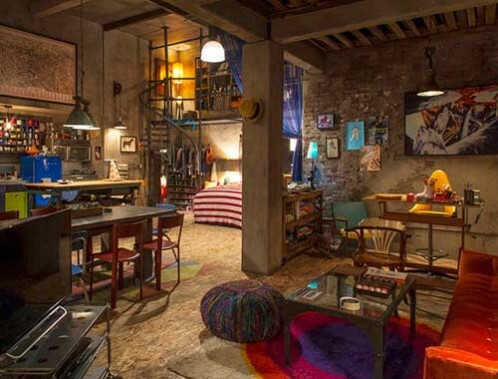 Amazing how the sets can be both sophisticated and nerdy – a perfect blend! Photo © 2016 CBS Broadcasting, Inc. All Rights Reserved. We don’t know what ABC was thinking when they made us say goodbye to THE MUPPETS, when we were just getting into their new world and enjoying the ride! This delightful mockumentary-style series followed their personal and professional lives, with just a little more dose of reality, whatever that is! With the theme “Just another day in Hollywood” setting the tone, the team made our world very much a Muppets world and vice versa! Photo © 2015 ABC. All rights reserved. Although legal wrangling, in-house fighting and backstabbing continue, there is so much humor in this biting, sarcastic series—and fun sets that reveal the fast-paced, intertwined and competitive universe of the Silicon Valley gold rush. The core group, the dirty half-dozen, are still socially maladroit, but it manifests in different ways as their company takes on a hostile and evil CEO. At the end, the guys get their company back, but are broke in doing so and happy about it! Photo © HBO 2015. All rights reserved. Not for reprint or reuse. After introducing the disparate elements of a dysfunctional but loving family as they deal with the father’s coming out as transgender in the first season, in the second, the sets took on more depth, as did the characters. Even the peripheral characters were defined more clearly through their sets. There was an extensive historical aspect revealing family roots in the human sexuality movement in 1930s Germany, complete with a replication of the Institute of Human Sexuality in Berlin, which was destroyed by the Nazis. 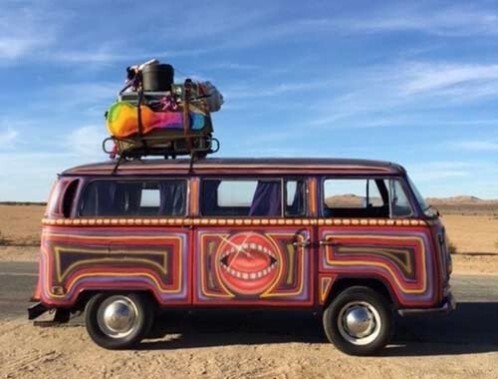 Fast-forward to a multi-acre set of the Idyllwild Wimmin's Music Festival a lesbian “white wedding” and a new home for Maura to continue her transition. Photo © 2015 Amazon. All rights reserved. When this series first aired, we thought of it as a wonderfully over-the-top sarcastic, acerbic rendition of politics. Who knew that it would keep being proven true! What suspends our disbelief, besides the current headlines, are the sets that ground and elevate at the same time. 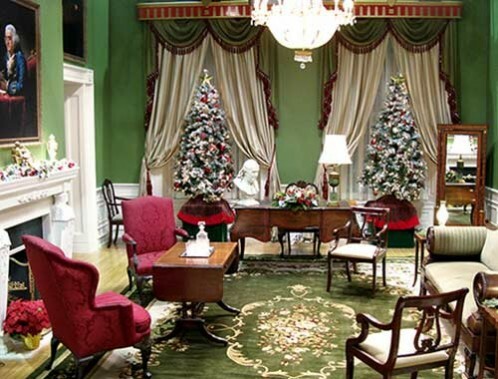 Production of the series moved from the East coast to LA, with a challenging but seamless transition, straight into Christmas at the White House! Presidential campaign headquarters in Nevada, a congressional campaign office in New England and Camp David were all part of this season’s mix! Photo © 2015 CBS. All rights reserved. Based on the wildly popular web series of the same name, moments of history are reenacted by inebriated storytellers, who stumble and slur their way through profiles on figures and events such as the invention of motion pictures, the rise and fall of the Cocaine Godmother and the truth behind Roswell. It’s a unique take on familiar and less familiar people and events from our country’s past, defined for the audience and enactors by great sets that provide the context of the history. 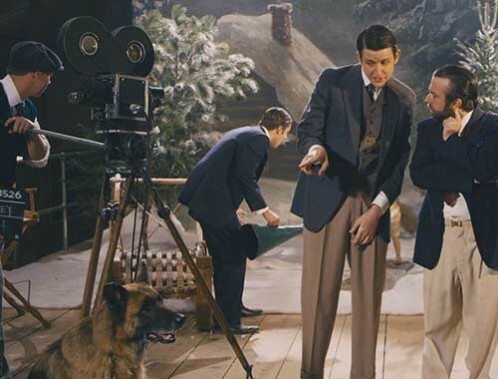 Here,we visit the making of RIN TIN TIN...and no worries animal lovers, Rowdy, the dog actor, was not drunk! Rowdy, Zack Woods, Bennie Arthur, Craig Cackowski. Photo © 2015 Comedy Central. All rights reserved. More goodbyes! The Peabody® Award-winning sketch series concluded with its fifth season. Featuring Keegan-Michael Key and Jordan Peele, known for their improv, impressions and original characters, the show utilized filmed sketches to examine life in a provocative and irreverent way, from two men used to being on the outside looking in. 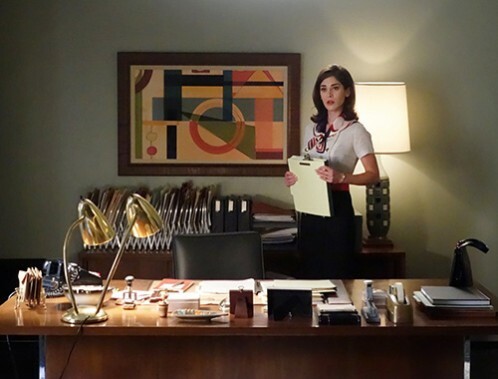 Set Decorator Julie Drach says, "Every sketch was so wildly different. 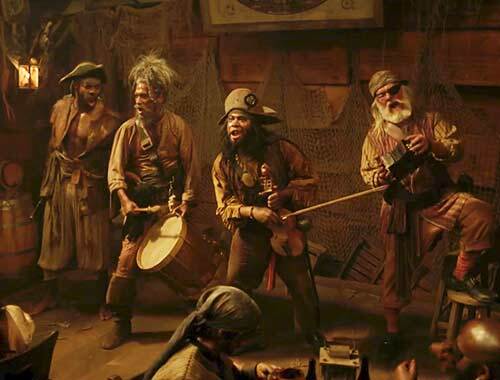 The show was a constant tangle of time periods and styles. It was always so important to us to make each set as realistic as possible, and to defy the standards of what viewers think sketch comedy looks like." Keegan-Michael Key, Jordan Peele. Photo © 2015 Comedy Central. All rights reserved. Even without the music, the essence of the show, you can feel the energy of THE VOICE through the dynamic sets! 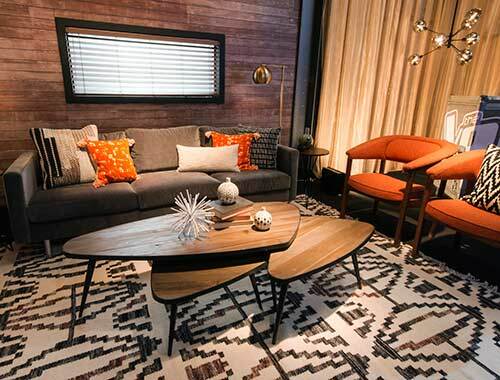 Each year we watch for that season’s new look, which always offers innovative design and decor. Consistently fresh, fun and original, and literally trend setting. As we said last time, no wonder they are nominated year after year, they keep the bar high and then leap over it! Photo ©2016 FX. All Rights Reserved.. The title tells it all! Not only did the team have to produce striking, iconic sets for an iconic production, but the sets needed to be easily and quickly transformed for the live performance! AND they had to have elements strong enough to withstand days of rehearsals with dancers cavorting all over them, jumping onto and off of many of the set dressing elements, which still had to be fresh for them to do so in the live performance! This new combination of musical theater and TV was a huge success! Did we mention, LIVE?! !